Anually sponsored by WINDWARD since 2010, Food for Kidz www.waunakeefeedtheneed.org not only nourishes hungry families, but the spirit of its donors and volunteers. There is no reason that 18,000 kids a day should die from starvation. The Dane County Community Action Coalition (CAC) will be distributing many of our meals free to 50 local food pantries. However, Food for Kidz can only package as many meals as your donations allow, so no donation or time commitment is too small to help eradicate hunger. Waunakee Feed the Need would like to acknowledge the 1,000 plus people who volunteered at the Village Center on October 20th at our 8th annual Food for Kidz event in 2013. Because of the wonderful efforts and amazing support from the community, we were able to package 206,500 meals. 80,000 of the meals were given to the Dane County Community Action Coalition and were distributed free to local food pantries. The rest of the meals were distributed around the world to hungry children and their families. 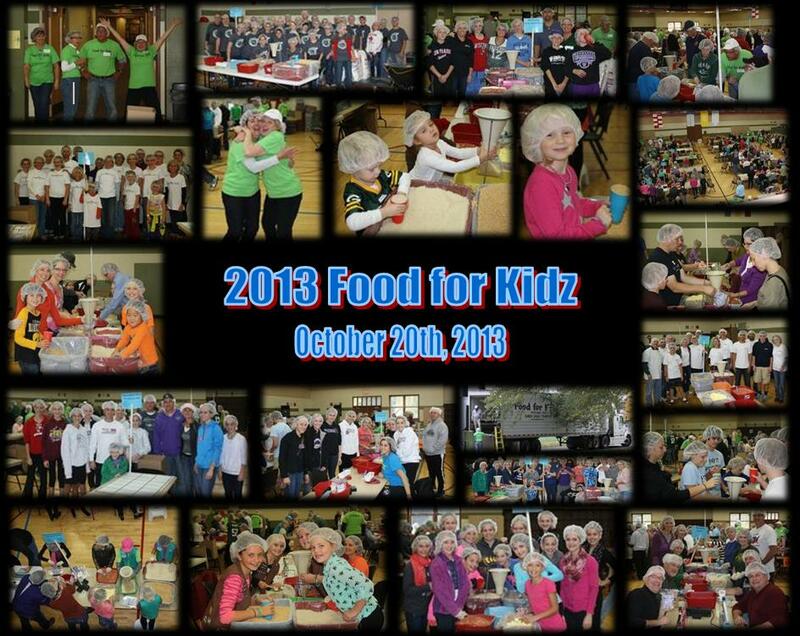 In a total of eight Food for Kidz annual events, Waunakee has now packaged 1,251,500 meals! Food for Kidz is made possible by everybody, including WINDWARD, who made donations towards the cost of ingredients. Food for Kidz had great support from its Platinum, Gold and Silver Sponsors and the numerous groups who sponsored tables and helped with the event. Food for Kidz is already planning our 9th annual event for October 2014.